I've had these for awhile now and I've decided I want to put them in my car. 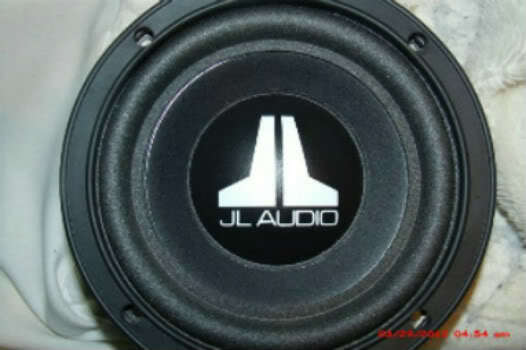 JL audio 6.5" woofers. I bought one before I realized they were discontinued, good thing I happened to find another on craigslist (out of state but the guy agreed to ship it to me). Both are brand new. Anyway I'm thinking of trying to build two sealed boxes that will fit under each front seat. I haven't done any measurements yet but it seems like a possibility, they can fit in a pretty small enclosure. Anyone ever owned these or heard them before? I've heard they are punchy and sound decent when setup right. they sound good but under the seats you won't be able to take advantage of what they can do. the pathlengths and locations just suffer from a lot of cancellation. the rear speakers are just woofers anyway. Thanks for the reply. I'll look into a box design to fit in the rear deck. What do you suggest for a box build? I was looking at the rear deck yesterday and it looks tricky making an enclosure to fit without removing the stock speakers/grills. I wanted to keep the rear speakers, I planned on upgrading them to an aftermarket 6x9". Do you recommend keeping or removing the rears? I'm looking to make an SQ build in the future. Will I get sound quality with just front components and tweeters with the JL's in the rear deck? the rear speakers are woofers only - no mids or highs needed from them. invest fully in the front speakers. consider i run a front component set and a single sub in my SQ setup that is competition worthy. no one complains about the lack of rears, they just complement on the sound stage and tonality.